OS/2 and USB Web Site: USB Printers. 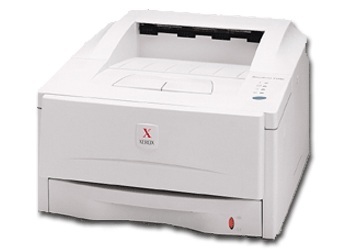 According to common sense every printer that has drivers for OS/2 should work on the USB port, but you will have to follow some instruction to make it so, and get a driver. For these instructions, please refer to the Tips & Articles page of this section. Comments This device was tested successfully by OS/2 CHL hardware testing team using the LASERJET.EXE driver, freely available at IBM DDP OnLine. Comments The BROTHER HL-1440 laser printer with ECS according to Will Woolery. Using the updated laserjet.exe from IBM PrintPak 20. Comments Geert Stevens told us this device works fine under eComStation 1.1 with Fix Packs 3. It works fine with latest Laser Drv, choosing the HL-1250 driver. Even though the PM driver configuration page complains about a non-existing Bidi-Connection (only for parallel ???) everything works fine. The resolution when using PCL5/6 is limited to 600x600dpi while under Windows with GDI up to 2400x600dpi is possible. Under WinOS/2 I installed the Brother Windows 3.1 driver for the Brother HL-1250 and redirected it to the OS/2 USB port. Works fine so far but I don't use WinOS/2 much. 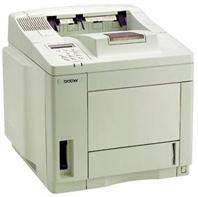 Comments Nick Morrow told me the Brother HL-5050 works fine under eCS 1.1 with the laserjet.drv v30.797 driver. Comments This device works fine when you configure it as an HP LaserJet III (though only 300*300 resolution). 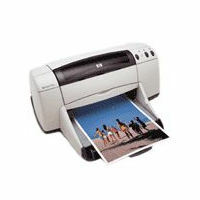 You can also configure it with LaserJet 4 to achieve higher resolutions. USB and LPT connections work fine with OS/2. MS Works 3.0 (DOS sessioned) can only deal with it via LPT, and works fine. Thanks to Matieu Janssen for the information. Comments Gerald Eischer told us this device works fine under eComStation 1.0 with Fixpsck 4. Works with IBM OMNI Driver on both USB and LPT ports. Comments Reported by Koen Van der Auwera to work with USB under OS/2. Comments According to Klaus Staedtler this printer works fine with OS/2. Comments This device was reported to work well by Henk Pol. Comments David T. Johnson have been using a Canon i850 printer for several months with OS/2 and it works very well except for one problem. The desktop will lock up if you turn the printer power on after OS/2 has booted. Otherwise, the printer works very well. 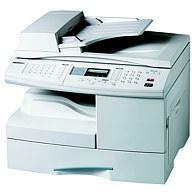 The Canon i850 is extremely quiet, very fast, and is very economical with its ink usage. The Windows 3.1 driver for the Canon BJC-8500 will work with the Canon i850 to provide Win-OS2 printing and also enables the use of the Canon i850 hi-resolution photo quality capabalities in OS/2. The only caveat is that the Win-OS2 driver settings must be set at "Auto" print mode, "auto" half toning, and the print quality slider bar must be set at one notch below the 'fine' setting for the driver to provide high-resolution printing with the Canon i850. The Canon i850 comes with both a USB port and a parallel port and either will work in OS/2. It is even possible to print to the Canon i850 from Win-OS2 when it is connected to the USB port if you 'connect' it to a virtual LPTx.OS2 port and then 'redirect' that LPTx.OS2 port to the appropriate USB port in OS/2. Comments Doug Bissett told us that this printer works very well, with the OMNI driver for the Canon i950 printer. Using eCs 1.1 with fix 4 and the last USB drivers. 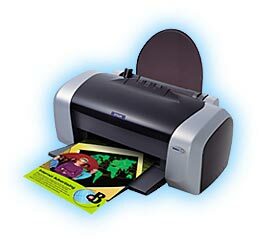 The Canon i960 printer works very well, using the OMNI printer driver for the Canon i950 printer. He suspect that it may not support every possible feature, but normal, and photo, printing is excellent. The printer has two USB connectors on it. One for USB 2.0 "Full Speed", which works great, with USB 2.0 (OHCI/EHCI), and USB 1.1 (UHCI). The other is for USB 2.0 "High Speed", and that doesn't work. There is also a connector where you can plug a compatible camera into it, and print directly from the camera (that doesn't work with my HP Photosmart 935 camera). The automatic power control works. He had set the printer to power off after 10 minutes of inactivity, and it powers back on, by itself, when a print job is sent to it. He is using the very recent IBM USB drivers with it, with no troubles. 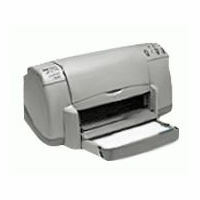 Comments Louis Muollo told us this printer works fine with OS/2 Warp 4 with Fixpack 12 using the Canon i950 Omni driver. Works well in OS/2 and eCS 1.2. WinOS2 printing works with redirect pointing LTP2 at USB. 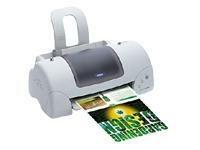 Makes good color labels, excellent text printing. Maintenance available-nozzle test,print head cleaning, auto on-off power control, quiet mode. Photo quality unusable, envelope printing a problem. Top paper feed and tray feed available. 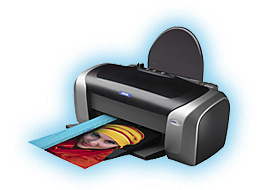 Overall a great printer for $100.00 if photo printing through OS/2 not a must. Has direct camera input. Comments Was reported to work great with IBM OMNI drv. Comments Both the Epson Stylus C84 and C86 work well using the EPOMNI5 driver (select C80 series) with both USB and parallel cable. Thanks to Rainer Feuerstein for the information! Thanks to Rainer Feuerstein for the information. Comments This printer has been tested by OS/2 CHL hardware testing team and was found to be fully functional with IBM's latest USB printer drivers and epomni5.exe. Works fine on both LTP and USB ports. Also tested by Lee W. Riemenschneider and Olafur Gunnlaugsson. The drivers can be get at ftp://ftp.jp.ibm.com/pub/pspj/os2ddpak/printers/. Use the last omni5 driver in the language that is needed and install the C80 driver. Comments According to Olafur Gunnlaugsson the Epson Stylus Color 680 works fine with the EPOMNI5 driver and using the lastest USB IBM drivers. All functions are OK but the well known bug with all of the Epson drivers and older app is present and slightly annoying if you use IBM Works a lot but who does these days, and since the C84 uses RET it repots a much lower resolution in eCS than in Windows put prints an identical picture (tested using PMView for OS/2 and windows). Comments This device was tested successfully by OS/2 CHL hardware testing team using the EPOMNI2.ZIP driver, freely available at IBM DDP OnLine. Comments This printer works fine under OS/2, according to David Iniesta. Comments Reported by Robert Deed to work great on the USB port. Comments This printer works without any problem suing USB ports and either one of the epomni2 or omni drivers. Comments According to Gabriele Gamba, only the printer functions (though not scanner functions) are working fine with the latest drivers from SoftWare Choice. Comments Peter Piper reports this printer woks fine under OS/2. IBM's USB print driver needs to be installed. Before final processing of config.sys, *if* the printer is turned on, the system will beep, detecting the presence of the USB printer. USB 2.0 MFP is detected as the device name, and my ASUS KXT-133 mobo detects the same USB storage driver: USB 2.0 MFP at post (during boot). The USB print driver configuration is a pain to setup, especially in WSeB as I have to go through PSF/2 and create a queue, etc... so I don't know about Warp 4 or eCS. It has a memory card reader for all formats. Below is my config.sys on the USB Drivers. If I have removables less than 9, it won't work. Comments Reported by Anthony Tubbs to work nice with USB, but still figuring out how to use colours. Comments AL du Pisani told us this device works fine with eCS 1.1 (fix 4) with the HP Color Laserjet 2500 drivers, Postscript and Laserjet. 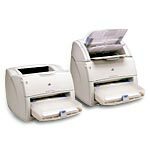 Requires the 10.145 (2004-09-23) USB and USB Printer drivers to work Should work with the entire Color Laserjet 2550 family. Comments This device was tested successfully by OS/2 CHL hardware testing team using the OMNIEN.EXEdriver, freely available at IBM DDP OnLine. Comments The HP DeskJet 930C is working fine under OS/2 according to Peter Handstein. Comments Wolfi told me that the HP DeskJet 940C worked fine the latest IBM OmniDe_30.792 drivers. Comments Reported by Pasquale Brandonisio to work fine using USB on OS/2 platform. 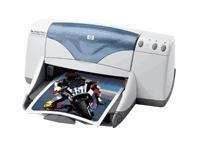 Comments Pasquale Brandonisio reported that HP 980Cxi works fine with the printerpack 19 & 20 using the 990Xci drivers. Full duplex works fine. Comments Running under OS/2 using USB Printer Printer Driver from IBM and the latest OMNI Printer Driver. 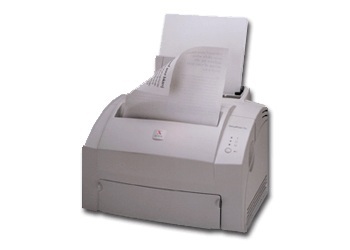 The printer in mentioned in the devices list, but some features from the WIN NT4 driver are missing like 4 Pages on one sheet and double side printing. Thanks to Burkhard Schroeter for this information. Comments HP 995C printer works fine under eCS 1.03 with the IBM USB and Omni printer drivers. Even the duplexer works according to Chuck Meins Jr. Comments According to Michael R. Talbot the HP Laserjet 1200 works fine under eCS using the USB driver according to Esko Kauppinen. Comments Christoph Vogelbusch told us that this printer works fine with eComStation 1.1 and Fix Pack 4 (DE). Comments Rainer Feuerstein told me that the Lexmark C750 (using the Lexmark PCL5 driver) works fine connected to the USB port. Comments This device has been tested successfully by OS/2 CHL hardware testing team. For more details, refer to part 8 of the Complete USB Story. Comments Leszek Kubrak told us that this device works fine undere OS/2 via USB. He is using the HP LaserJet 2200 driver for it. Comments Rainer Feuerstein told me that the Samsung SCX 5312F (using the HP LaserJet 2100 PCL) works fine connected to the USB port.